The justices ordered the U.S. Eight Circuit Court of Appeals to reconsider its decision in Fleck v. Wetch in light of the Janus case in which SCOTUS ruled mandating union fees as a condition of employment violates workers' free speech rights. "This is an important first step towards extending Janus protections to attorneys," said Goldwater Institute senior attorney Jacob Huebert, who was on the legal team that won the Janus case. "The same principles apply here that applied there: The government can't take people's money to pay for other people's political speech without asking first." Arnold Fleck, a North Dakota lawyer, filed suit in 2015 to challenge a law requiring North Dakota attorneys to join the state bar association and pay member dues that are used to support political activities. Fleck was in the same position as the teachers in the Janus case—forced to subsidize political activities he did not support. A federal Court of Appeals ruled against Fleck in Aug. 2017, ruling that the bar association was complying with the law by allowing attorneys to opt out if they did not want to fund speech they disagreed with. Shortly after the court's decision, the Supreme Court announced in the Janus case that allowing a person to opt out isn't enough. 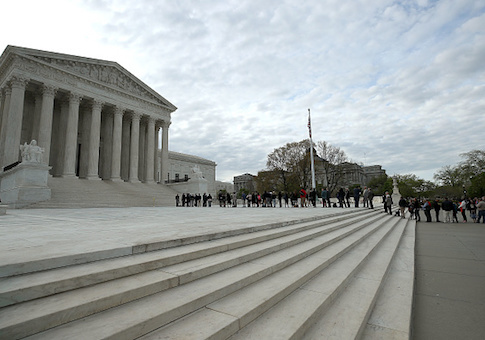 The Goldwater Institute filed a petition for certiorari in Fleck's case last December, asking the Supreme Court if North Dakota's rules complied with the standards required by the Janus decision. While 18 states do not require attorneys to join bar associations, this case will have implications for the majority of states that do require attorneys to join their state bar associations and subsidize political actions they may not support. "This is a major victory, not just for Arnold Fleck but for attorneys like him across the nation who have been forced to fund speech they don't agree with. North Dakota's take-first, ask-afterward approach violates the First Amendment, which says that people should be able to voluntarily opt in to political speech," said Timothy Sandefur, Goldwater Institute's vice president for litigation. "We look forward to the opportunity to our next hearing in the Eighth Circuit," said Sandefur. "The command of the First Amendment is clear: Neither government employees nor lawyers nor anyone else can be forced by the government to support speech they disagree with."